All silencers Ordered Separately will incur a £14.99 delivery charge as they will have to be delivered Personally by our own Drivers, it is illegal to send them through the post. However if you order a silencer at the same time as you order a rifle this charge will be completely deducted. 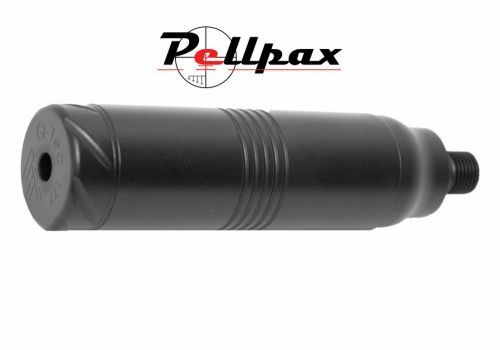 With all the great features of Q-Tec silencers such as excellent noise suppression, calibre specific models and lightweight construction, this mini version has been designed specifically to match the Galahad range of rifles from Air Arms. Simply unscrew the end cap from the rifle and screw silencer in for stealthy shooting straight away. Add this item to your basket & spend an extra £441.01 to apply for finance.